The Lee Kong Chian Natural History Museum is a spectacular building full to the brim with wonders of the natural world spanning hundreds of millions of years. 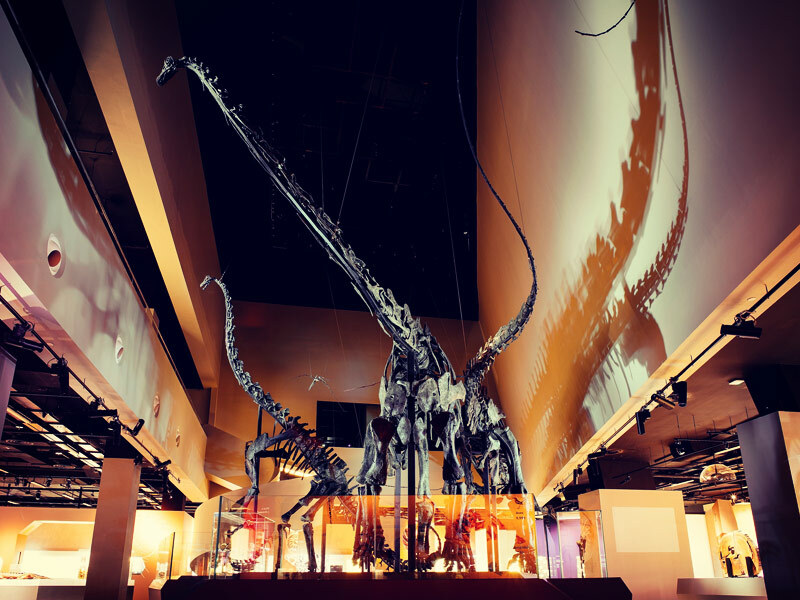 The undoubted stars of the brand-new museum are 150-million year old Prince, Twinky and Apollo, three, near-complete diplodocus skeletons but there’s so much more to be wowed by! The S$35m museum looks like a huge square rock with the corner cut off displaying thousands of native Singaporean plants, and that’s just the outside. Inside, the Biodiversity Gallery on the ground floor is divided into fifteen zones including Mammals, Fish, Dinosaurs, Plants, Life and Reptiles and the origins of life as we know it is displayed in an interactive, interesting and exciting way through the excellent use of fossils, stuffed animals and all sorts of touchy-feely activities. As you move through the museum, you’ll find the Heritage Gallery showcases some fantastic exhibits from the original Raffles Museum and delves into the relationship between the development of Singapore as a nation and its ongoing conservation projects and its spectacular natural history and geology. Move outside and there are yet more great things to see, like swamps, mangroves and dryland forests! 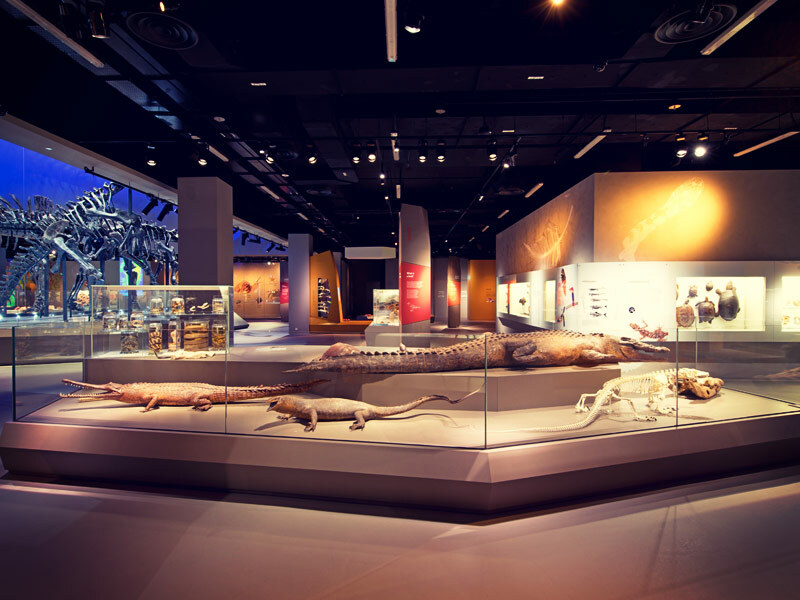 The Lee Kong Chian Natural History Museum is Singapore’s first dedicated museum of natural history and for a fantastic time travel trip back to the dawn of time, you’re in the right place!